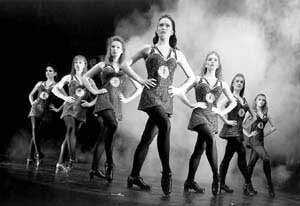 WHILE RIVERDANCE and LORD OF THE DANCE were wowing Australian audiences SPIRIT OF THE DANCE was 'smashing box office records' right across Europe and the United States. The IRISH INTERNATIONAL DANCE COMPANY production will perform at the Newcastle Entertainment Centre on Friday, August 20, weaving traditional Irish dancing with tap, classical ballet and Flamenco. SPIRIT OF THE DANCE combines Irish dance with a passionate story line and beautiful love songs as the ethereal spirit searches for her true love. Tickets are on sale at the Newcastle Entertainment Centre or by phone charge on 4921-2121.